When it comes to Black Friday, great deals exist seemingly everywhere. But I personally enjoy the experience of knowing that I can visit a store, restaurant or gift shop, whose owners live in the community. There&apos;s something special about that especially during the holidays. And, though Black Friday has grown primarily through the retail giants in this country, there are a least a few locally-owned shops right here in Hendricks County celebrating this annual shopping holiday. So, here is my list to help you shop local, avoid the massive crowds and still get a great deal. 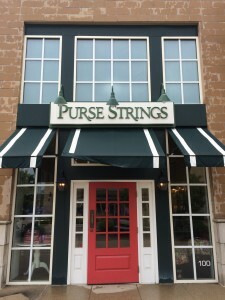 One of my family&apos;s favorite places to visit is Purse Strings in The Shops at Perry Crossing (formerly known as Metropolis) in Plainfield. Known for its eclectic mix of fine jewelry, handbags and accessories, the ladies at the shop are always very welcoming and it’s become one of the places I shop when I’m looking for a Pandora charm for my wife’s bracelet. Over the Black Friday weekend (from Nov. 27-30), Purse Strings also will feature a 15 percent discount on its Alex and Ani bangle sets. They’ll also feature some offers from Vera Bradley. Check out their website and visit their Facebook page as well for more details. While you&apos;re at The Shops at Perry Crossing, you will definitely want to check out all of the other Black Friday activities as the mall is usually hopping with deals. Though the mall is filled with mostly chain stores, I&apos;ve already heard some rumblings about doorbuster deals at Ulta Beauty and Journeys as well. If you&apos;re looking for some late night fun on Friday, you&apos;ll want to make sure Michele’s Boutique & Gifts is on your list of shopping destinations. Located in the Brownsburg strip mall that includes Kohl&apos;s at 600 W. Northfield Drive and celebrating its 15th year, owner Michelle Isenhower’s shop will – for the 3rd year in a row – kick off its Black Friday with its own Midnight Madness beginning at 10 p.m. Thanksgiving night Nov. 26. The store will remain open until 2 a.m. Friday, and then reopen at 9 a.m.
Until Thanksgiving, Michele’s will be open from 10 a.m. until 8 p.m. Mondays through Saturdays and noon until 5 p.m. on Sundays. After that, they’ll be open from 9 a.m.–9 p.m. Mondays-Saturdays and 11 a.m.–6 p.m. on Sundays. 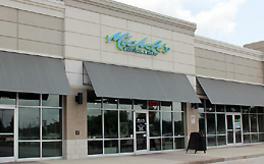 In case you have never visited Michele&apos;s, this store has successfully made the transition from a popular, country-themed shop to one that features a wide array of very fashionable apparel, fine jewelry, accessories and more. Brands such as Miss Me Jeans, Yankee Candle, Brighton and DaVinci make it a great place to find the perfect gift. If you like a little “bling” on whatever you’re wearing, Michele’s prides itself on its selection of women’s Indianapolis Colts-branded wearable items. Highlighting its special offers is a deal that&apos;s available now featuring the popular line of Miss Me Jeans. 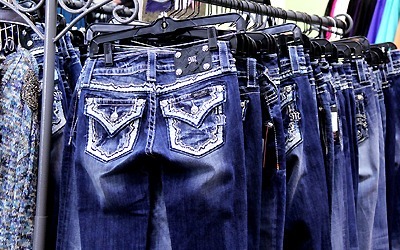 Right now, the Miss Me Jeans are 50 percent off. Having visited the shop on a number of occasions with my wife, I can tell you that they always seem to have lots of items to choose from and seeing the owner in the shop is, again, a great reminder of what you’ll discover when you take the time to visit a local business. It’s an experience, trust me, you’ll enjoy and you’ll be amazed at what you’ll find. These are two of my favorites, but I&apos;m guessing there may be some more locally-owned stores in Hendricks County with Black Friday deals that I missed. If so, let us know in the comments section below and happy shopping.